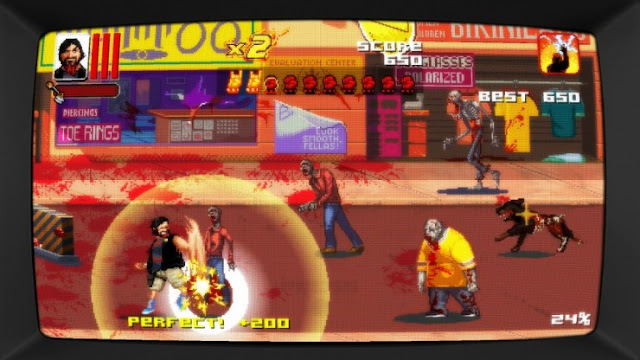 By all accounts one of the best things about the release of Dead Island: Definitive Edition earlier in the year (which was Dead Island and Dead Island: Riptide smartened up for current consoles) was the inclusion of a free bonus game; Dead Island Retro Revenge. At some point after this was made available to purchase as a stand alone game, randomly seeing it for around £4 I picked it up. You play as a Jack Black look-a-like named Max who at the games start has his RV stolen that just so happens to have his beloved cat inside it. With no alternate option Max must now run across zombie infested California in order to retrieve his stolen possessions. As the title implies this is a retro themed game that really looks like it came out of the late 80's early 90's arcade scene. It is a 2D brawler that has Max constantly running to the right, he is able to move into one of three lanes in order to avoid obstacles such as blockades, as well as kill zombies and human enemies. Each of the four face buttons does a different attack, so you can low kick, uppercut, punch, and kick backwards. Some enemies are impervious to certain attacks, dogs for instance can only be hit by doing a low kick, other enemies are invulnerable to your attacks and must be avoided or taken out by some other means. Thrown axes can be punched back at their sender, grenades and stunned dogs can be punched into enemies. There are 24 stages set over 3 levels, each of the levels has it's own intro cut scene that is charming enough to look at, usually some exposition for where Max is heading next. Starting off in a shopping district you head to the beach front before going to a military base and the docks. Every four stages the location changes, these usually have different music as well but aside from visually looking different they don't change how the game plays. You start each stage with magic that ranges from a dragon raining fire down from above to a ninja attack but these are all essentially smart bombs; destroying all enemies on screen. By killing enemies you get points which eventually unlocks your special weapon, best of which for me was a T-shirt gun. Most enemies are easy enough to kill, a few punches will see them dead, this leads to replay value as you get more points for destroying the corpse then for actually killing an enemy and at the end of each stage you get rated out of five stars. 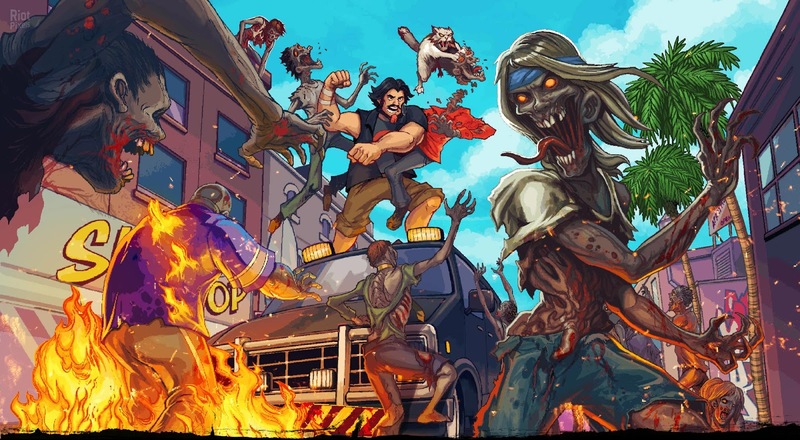 Around half the enemies in the game are zombies, there are hulking ones which fling fire at you, jogging zombies, zombie dogs, explosive and armoured ones. After the first level human enemies are introduced, the soldiers mainly fire weapons at you, later escaped convicts are more melee based using shivs and their own fists to stop you. This is a very bloody game, most killed enemies shower blood over the scenery and the ground, is all very cartoon like though. 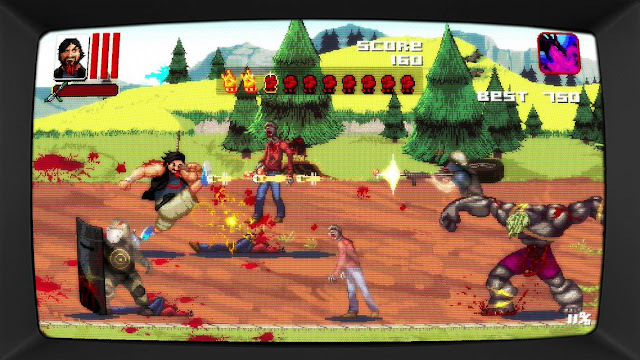 Retro Revenge is quite fun though is a bit lacking in that there is no variation to what you do, no boss battles to speak of, and later levels seem quite unfair in that it seems sometimes you are left with no choice but to take damage as all lanes are blocked with unavoidable objects. 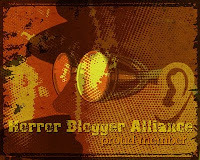 The bright cartoon vibe and the addictive nature made it something I could not put down. This is quite a basic game, but then it was always intended to be, for what it is it is well worth the cheap price, there is fun to be had here for sure. Check out my video of the last level and ending below, though obviously it has spoilers.